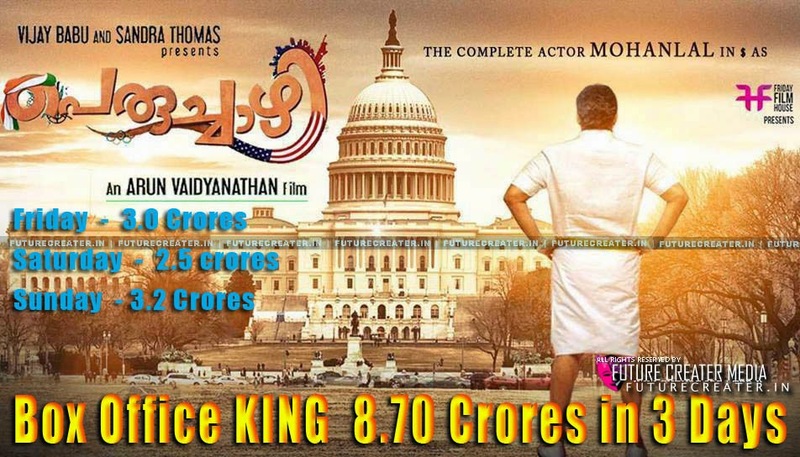 Peruchazhi Total Box Office Collection Report – RS 13.00 Crores Approximately. Mohanlal again proved that he is the top crowd puller in Malayalam film industry. The big Budget Peruchazhi ( Budget Rs. 11.5 Crores), creating multiple records in box office. If this kind of flow will maintain properly for next days also, then peruchazhi will expected to make a business of around Rs. 15+ crores in first week collection. UAE release is scheduled on September 4, so it will be a box office trendsetter.